Complete assembled brake SamOne Hydro-AJ toghether with Magura HS33 calipers. Brake lever made in Slovakia in AJ-Components! SamOne brake lever is pretty light - only 69g! Made from very durable AL 7075-T6 aluminium alloy and tested by Samuel Hlavatý and FUNTown.cz! Magrua calipers don't have any other competitior in their category! Hydraulic SamOne Hydro-AJ brake lever blade was originaly made for very young rider to deliver more power with Magura 2005 brake body in his small hands! Manufacturer decided to make his own brake body and SamOne Hydro-AJ is a result of 2 years of developing. Brake lever is assembled with Magura HS33 brake calipers. Brake is pre-filled with original mineral oil Magura Royal Blood. - BE AWARE: Don't fill this brake lever with distilled water! Distilled water isn't greasy and you can destroy the sealing and your brake lever can leak the liquid! 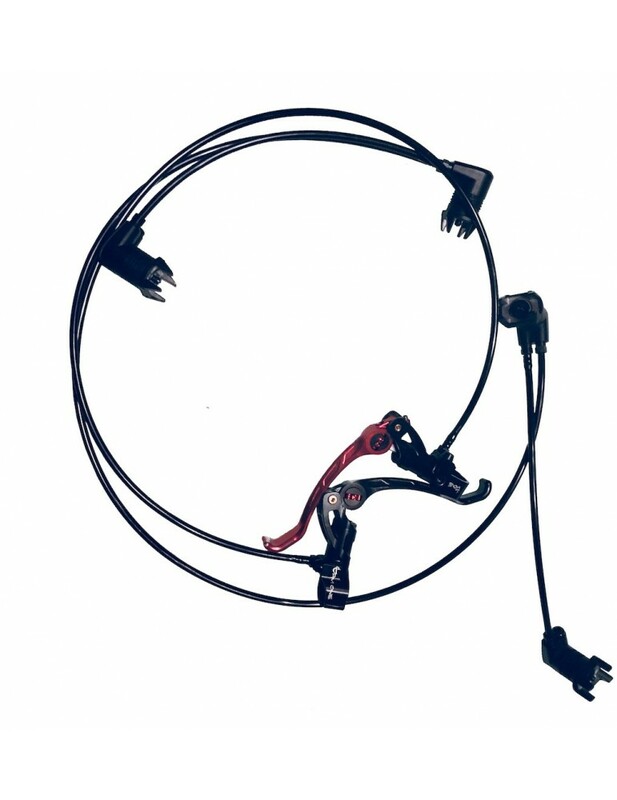 We do offer red or black color of the brake lever and front or rear model. Rear brake have a 115cm hose lenght and front 60cm.